This leather purse is by Ronora. 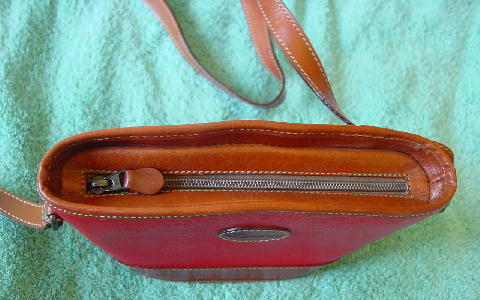 It has a caramel color bottom and top rim and outer side of the shoulder strap; the rest of the purse is in red. 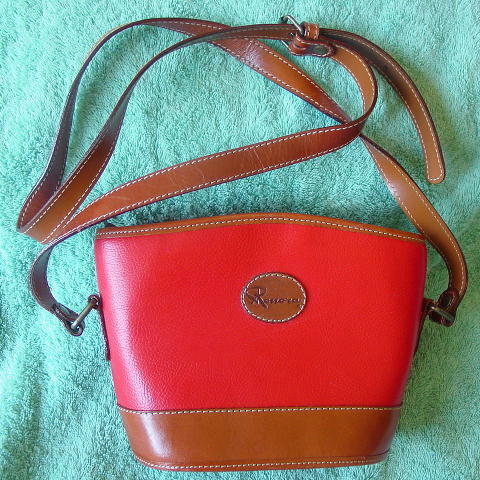 The outer shoulder strap is leather, and it's lined in a caramel color faux leather. There is an oval logo leather ornament on the front. The top has a recessed zipper. It has a soft faux leather black lining and interior zippered pocket. 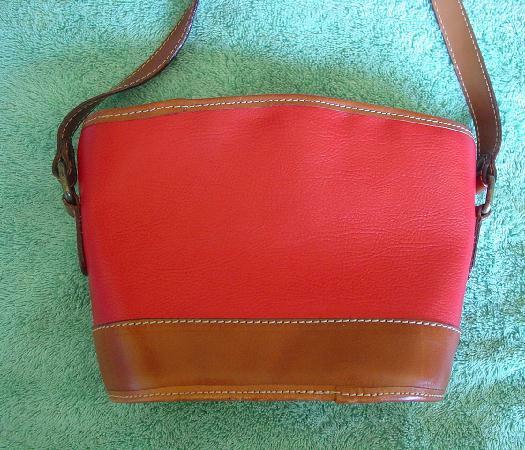 There is an adjustable (3 holes) 52" by 3/4" shoulder strap. It has some scuff marks on the front and back bottom panel of caramel leather and a round darker brown spot below the stitching and a lighter one below and to its right side on the front panel.